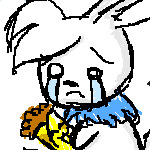 Now every Neopet wants a petpet but choosing the right one is difficult. You should, to begin with, try to choose one from around the same area that the paintbrush your pet is coloured came from (i.e. Pirate Pet then go to Little Nippers). It’s up to you to get them one. Looking for a Spooky Petpet? Let’s see the top ten! Not exactly the easiest of Petpets to look after because of its liquidized body, the Sludgy is generally for the pet that likes to play in the mud. Very compatible with an outdoor lifestyle too. However, because of its substance, it can get a bit boring after a while having to build it again. A good plumbing system in the Neohome always helps! A highly disgusting petpet to sensitive people, the Dribblet licks everything and everyone. However, it is the essential item in a mischievous pet’s collection. Great for looking like your little sister wet her bed again! Still, not to be underestimated, it is friendly to most Neopets so they should get on well. Don’t confuse it with the Dribblet chair or the joke will be on you! Mmmmm…… Roasted Green Tentacle… Oh, sorry. The tentacle is low maintenance but also friendly for a Spooky petpet. Small and clean, it is ideal for any home. Pets that like swimming may like it because it can most probably swim too. Also, when you don’t want it, just cook it. It makes a filling meal. And tasty too… However, it is not too low maintenance as it can produce slime, so don’t let it loose on that expensive new rug! The Batterfly. A cross between a bat and a butterfly. Flies everywhere and this means it is easy to perch. It isn’t very scary but appeals to those Neopians that want a friendly flying friend from the Haunted Woods. However, it does not take on all of the butterfly traits and can be quite messy… Having fangs makes it not good for those pets who are extra sensitive, but one which is quite agile will get along fine. They are good portable petpets so you won’t need to worry if your Neopet can fly! Ah, the top five. The Chumablah is quite an ugly pet, looking a bit, but not much, like a scrawny Darigan Pteri. Small, with a vicious beak, it is a suitable companion to any Darigan or Halloween pet. It probably can’t fly as it has tiny wings but it is an intimidating pet at any time. Not for the pet which has a phobia of birds, hates purple or is easily scared as it looks could freak just about any pet not well prepared for it. Great for the purple lover, it will perch on their arm, but be warned; its sharp talons could hurt anyone but those with the thickest, toughest skin. The Devilpuss is the very opposite of the beloved Angelpuss whose family it shares. The Devilpuss, however, is much more violent, but if well trained it will not attack so called intruders to its domain or in any way attempt to demolish your lovely house. They tend to be slightly better in the Petpet Battledome than Angelpi because their Spooky aura gives them that edge all Spooky Petpets have to fight that much better. They are incredibly tough for their size so are good for strong willed pets. These go well with the Halloween Neopets which are in Devil costumes. The Sklyde is basically a skeletal petpet which does not mean it needs no food. In fact, it needs a lot of food as it always seems empty (well duh, it has no flesh to cover its ribs). It enjoys walks and will attack at whim. No flesh will be lost and it can generally live while losing a few ribs while most petpets would retire from the Battledome. Not the sweetest of pets but it is most definitely an energetic petpet always and loves to explore the neighbour hood. This petpet is not for the fainthearted and prefers if you and your Neopet refrain from using it in your Science project. The Ghostkerchief is like a floating, well really, handkerchief. It floats by your pet all day and if it likes a pet, it gets very attached to the pet. It is not a good idea to separate them. They are generally very friendly and predictable. They make absolutely perfect petpets for ghost Neopets as they are literally ghosts themselves. A fine petpet with a predictable nature, they can be trained very easily to be quite scary. Also, they are very low maintenance as they don’t mess the house up, not having arms or legs as such, just a frilly body. This is good for your cleanaholic pet who wants a spotless room complete with a pleasant spooky petpet. There is a rare site event, and I mean rare, where one may appear suddenly and hug your pet. This way it is best to attach the petpet, as it will go to your inventory, to the Neopet it came up to, to avoid anger on both sides. Don’t get your hopes up, because I’ve only heard of this happening once! And now, the one and only greatest spooky petpet of all time is the… *drum roll please, someone*…. The Meepit! It is small, pink and has those huge, freaky, round eyes which seem to glow all the time. Average maintenance petpet, it has something oddly spooky about those oddly gigantic eyes. Meepits are reasonably rare, but not too rare as such, so they are in great demand for them now. Hurry, hurry, hurry! Also, they are generally good at scaring people, so if you yourself or anyone else in your Neopets family is easily scared, they are not the perfect pet for you. They are great insurance from burglars as most people wouldn’t dare get attacked by them and their vicious little teeth. However, they do not like to be annoyed, as you may find something of yours missing or savagely chewed up on the following morning. Also, there have been oddly too many strange rumours on them being able to talk. However, these are generally wild and wacky Meepits, so do not worry about getting one which talks. After all, petpets are not meant to talk either, aren’t they? So, they are most definitely the best, and greatest, spooky petpet of all time! So, there you have it. The complete top ten spooky petpets. Take your pick for your Halloween pet and see how they get along! You may find the perfect match and a disaster. All you can do is find out for yourself! Oh, and do not look too deeply into a Meepit’s sinister eyes.. This is (hopefully) my first in the NT! Comments welcomed!